Oh Errol!—what does Errol Flynn have to do with democracy? June 20 marks the 104th anniversary of the birth of Errol Flynn, the Tasmanian actor who became the biggest Hollywood star of his day. Star of such movies as Robin Hood, Captain Blood, The Prince and the Pauper and In the Wake of the Bounty, Flynn was born in Tasmania in 1909, the son of a prominent university professor and biologist. So what does Errol Flynn have to do with democracy? Aside from having played characters that fought against tyrannical leaders, such as Robin Hood, Peter Blood and Fletcher Christian, Flynn had a genuine personal connection to two Australian Prime Ministers. 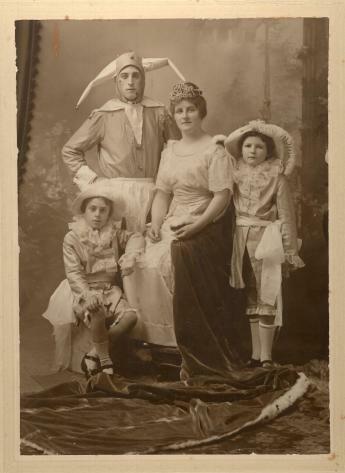 In 1918, Flynn was a page boy in the Queen Carnival, a pageant held in Burnie to raise money for the French Red Cross. He was chosen as part of the entourage of a young Enid Lyons, then only twenty, who had been selected to represent the Tasmanian public service as Queen of the Service. Three years before, Enid had married Joseph Lyons, who would become Prime Minister in 1931. Enid would be the first woman elected to the House of Representatives in 1943. Dressed in his mauve satin suit with lace ruffles at his wrists and silver buckles on his shoes, he was a dashing figure – a handsome boy of nine with a fearless, somewhat haughty expression, already showing that sang-froid for which he was later to become famous throughout the civilized world. He was in short, a miniature of that Captain Blood he was to make his image in the eyes of motion-picture lovers the whole world over. For this was Errol Flynn, long before the days of his ‘wicked wicked ways’, entirely surrounded by women and appearing a little bored in his court uniform, but eminently self-possessed whatever the situation into which he was thrust. Unfortunately Errol at the age of nine did not yet possess that magic for extracting money from the public which so distinguished his career as an actor. Our cause gained no apparent advantage from his presence in my entourage; we gained only third place in a field of seven. Later, Flynn moved to Sydney where he attended Sydney Church of England Grammar School. His classmate was one John Grey Gorton, who later went on to become Australia’s 19th prime minister. Gorton’s biographers have recorded that Flynn and Gorton were not close friends (indeed, Alan Trengrove reports ‘just the opposite’) and that Gorton, like most of the other boys at the school, did not shed tears when Flynn, two years older than Gorton, was expelled from the school, officially for fighting but allegedly for having a dalliance with one, or more, of the school’s female staff. I for one am relishing the opportunity to show off this little piece of trivia at the next party I attend!